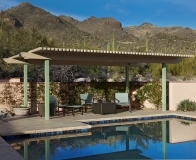 Sundrea Design/Build is an award-winning residential landscape design and construction company in Tucson, Arizona. 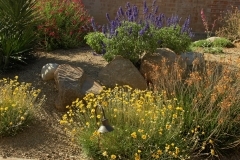 Servicing all of southern Arizona, our focus is always to create beautiful and sustainable outdoor environments. 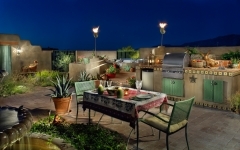 Our in-house design team is led by owner and Certified Landscape Designer, Paul Connolly, APLD. We can create a simple planting plan or detailed construction drawing, depending on what your project may require. We are a Licensed Contractor and our friendly, knowledgeable installation crews are skilled in all aspects of landscaping from planting, irrigation and LED lighting to brick, flagstone, concrete and custom metal fabrication. 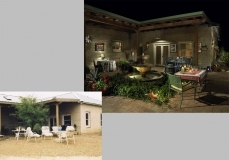 At Sundrea Design/Build, we create outdoor living spaces to fit your site, architecture and specific needs. We understand this is your home and our talent for scheduling, coordinating and communication makes the entire process from design through completion of your outdoor space an enjoyable experience for you. We are also now offering exclusive maintenance services for select properties. 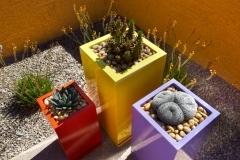 Whether you need landscaping for a new home or a landscape renovation project, we are experts in all types of design styles including traditional, contemporary, southwestern, mid-century modern, territorial and xeriscaping. 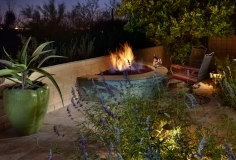 Let us create the perfect space for you by incorporating an outdoor kitchen, water feature, fire feature, courtyard, water-harvesting , or any other elements you may be considering for your outdoor space.